Here is a talismanic book about the indie filmmaking industry written by an indie filmmaker himself. 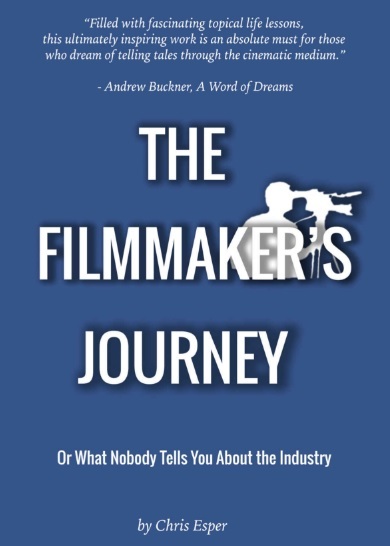 Filmmaker Chris Esper gives his readers the peaks and valleys of indie filmmaking through his own success, struggles and ultimately gives advice that he wished he was given when he first started out. Esper has passionately enriched the book with his own knowledge and experiences, endeavoring to take the reader on a riveting journey by means of 12 lucid chapters aimed at educating the reader about the challenges that one must overcome day in and day out to become a successful filmmaker. Esper emphasizes upon the importance of using technology and internet to help overcome the gaps, created by lack of money, equipment, and education while pursuing filmmaking as a profession. The book is currently on Amazon both on Kindle and paperback.